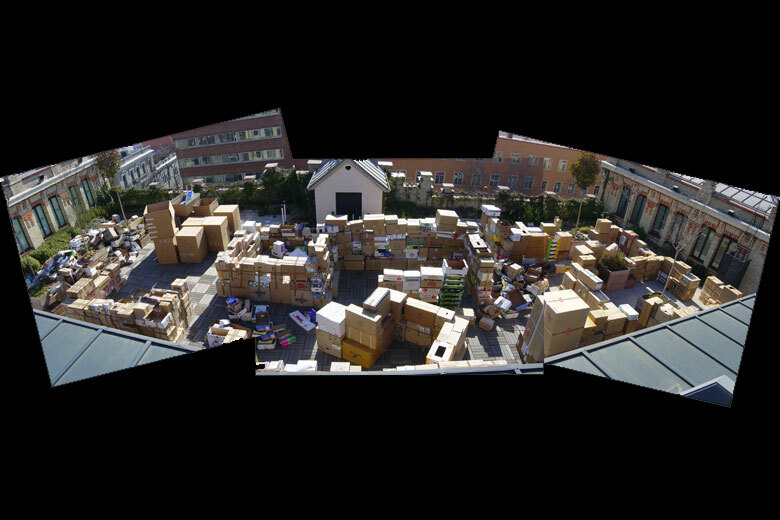 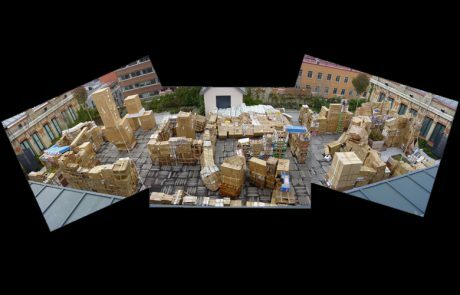 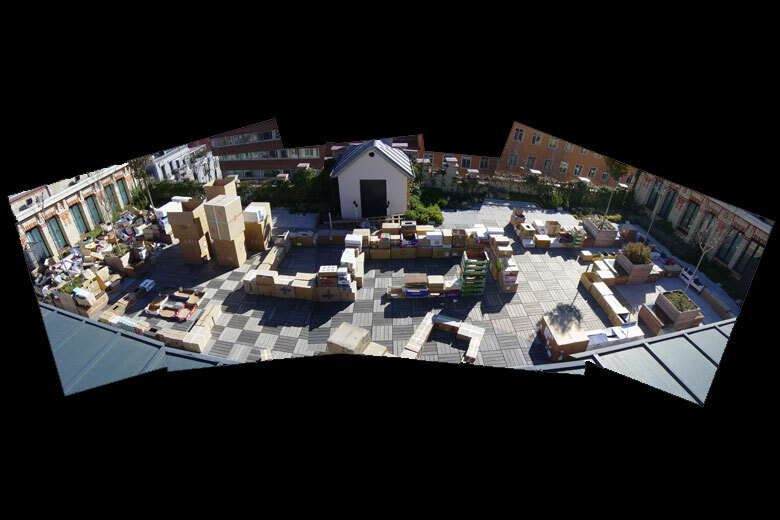 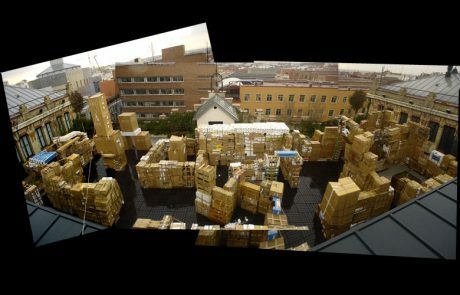 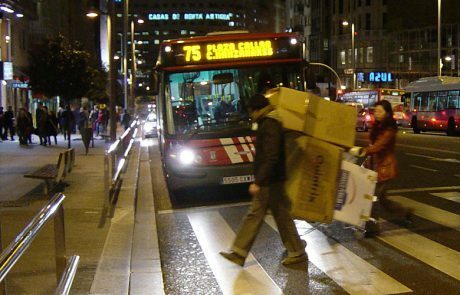 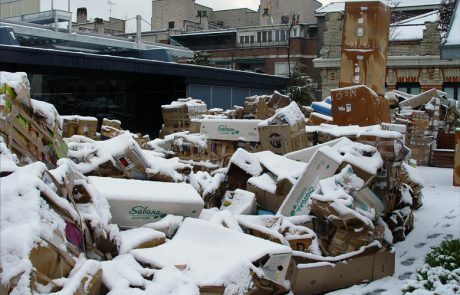 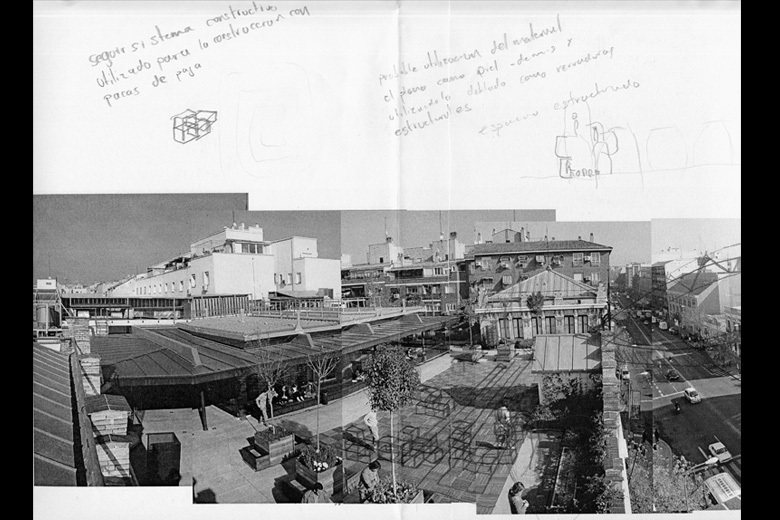 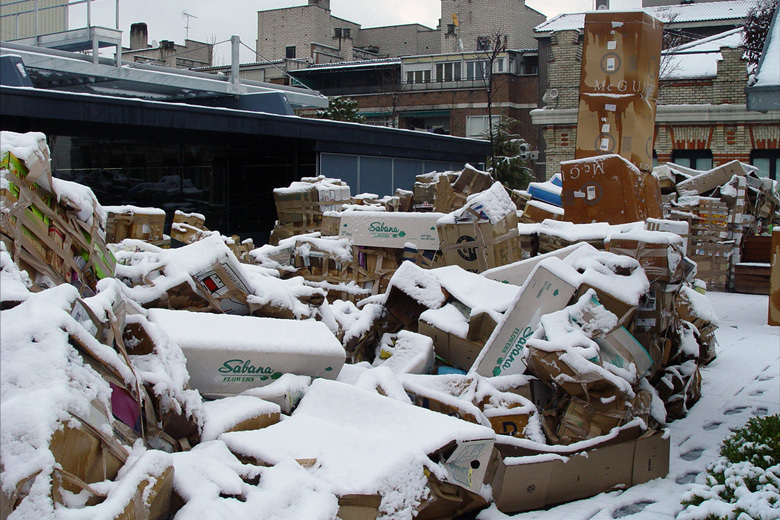 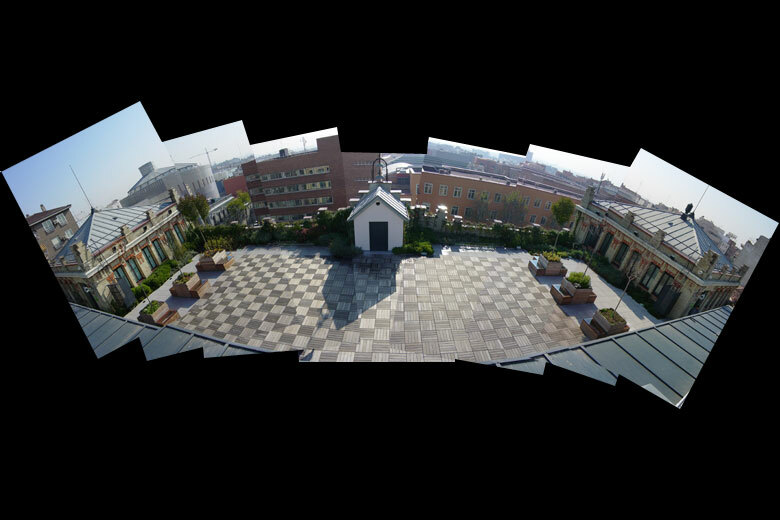 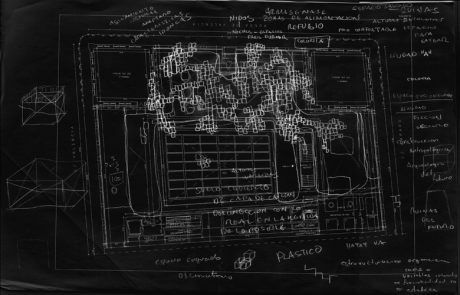 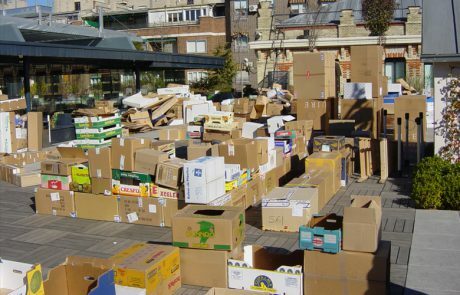 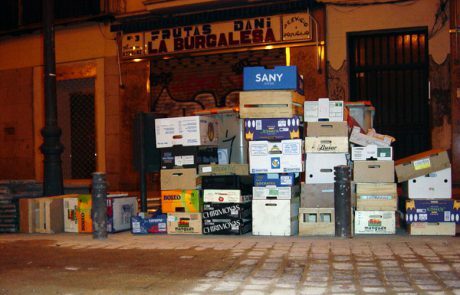 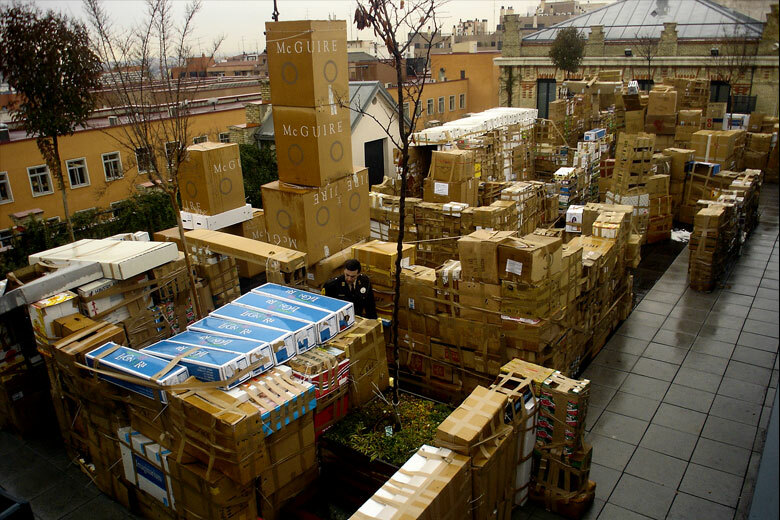 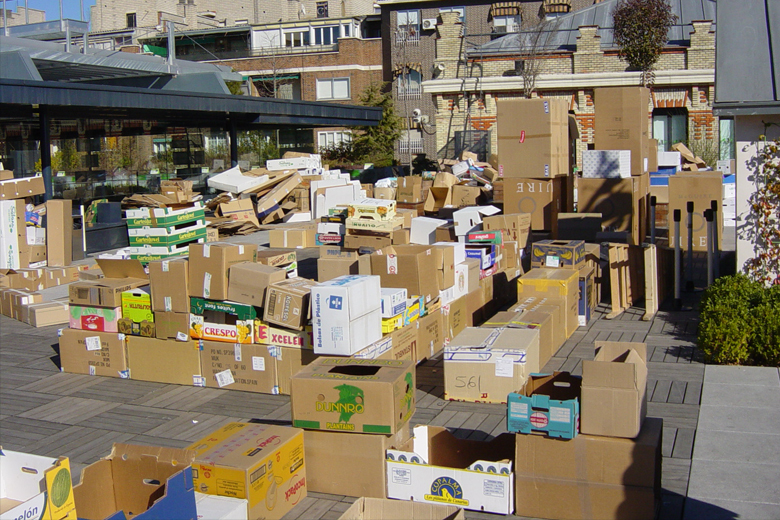 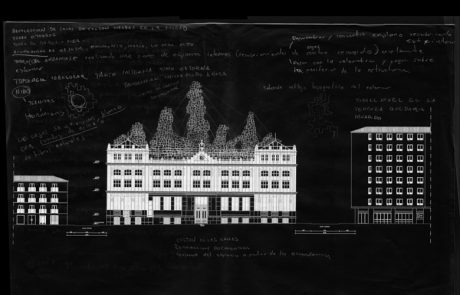 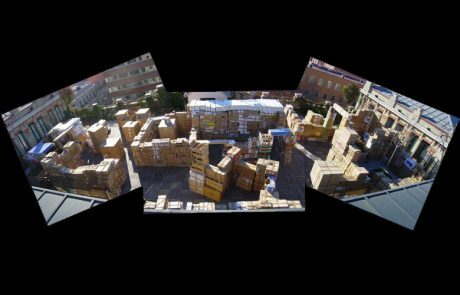 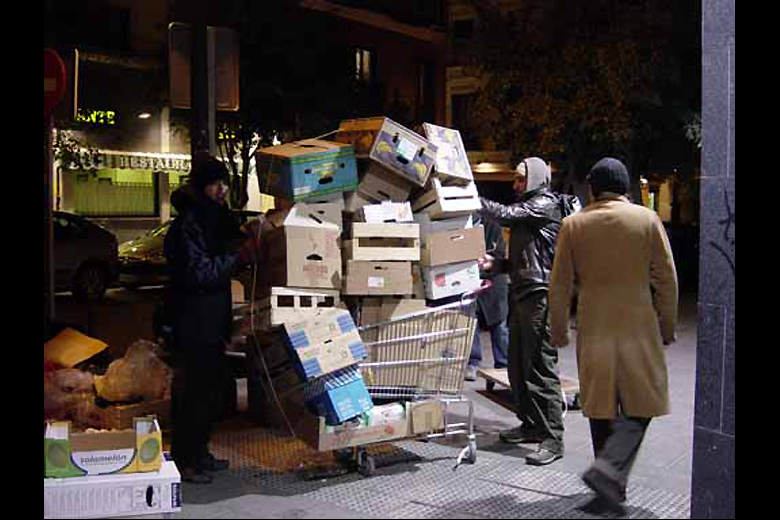 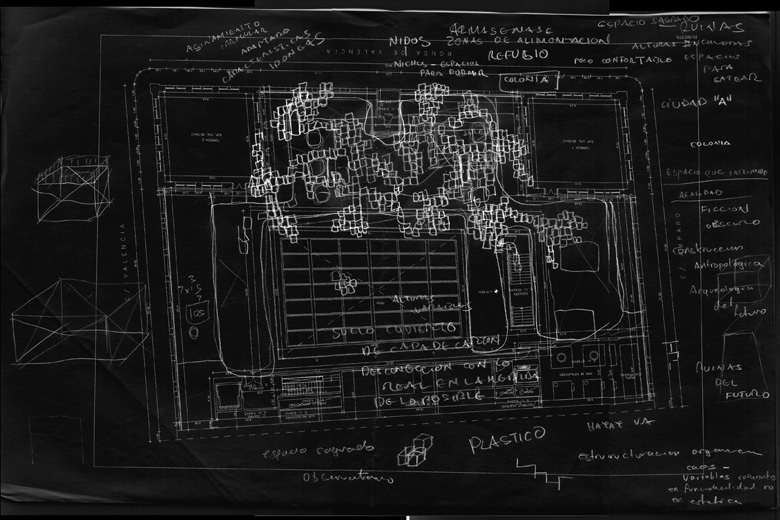 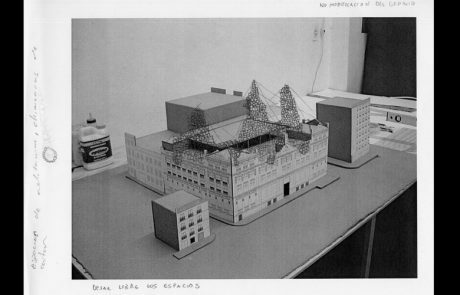 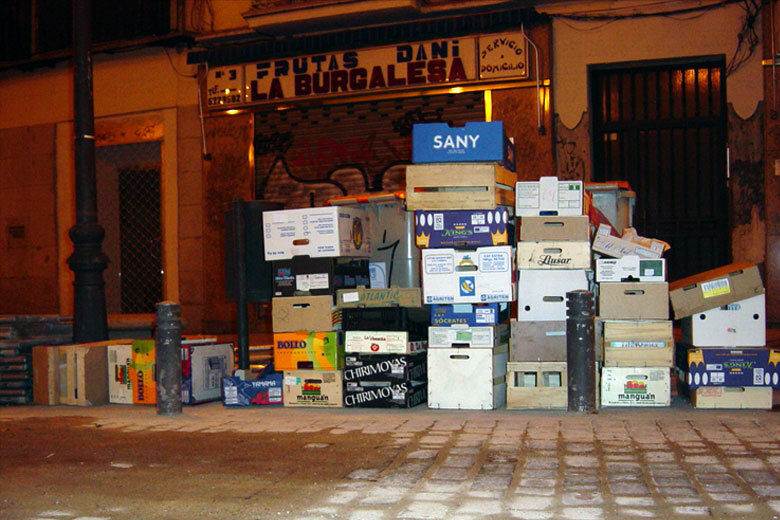 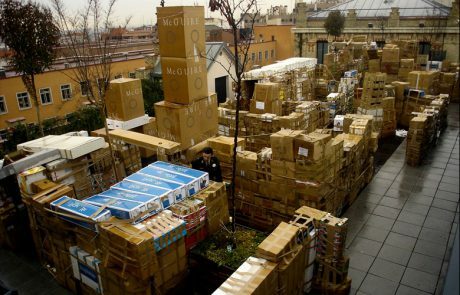 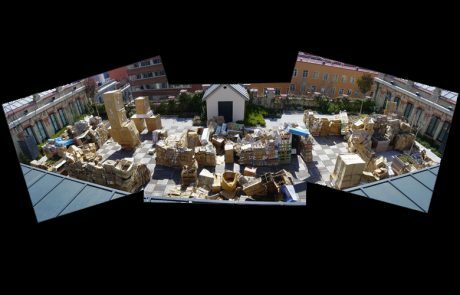 With the use of cardboard boxes collected on the streets of lavapies neighborhood, in Madrid, a group of buildings, was a constructed in the terrace of La casa encendida. 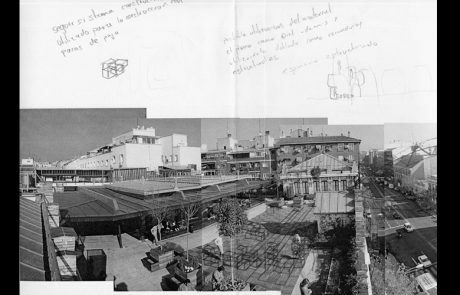 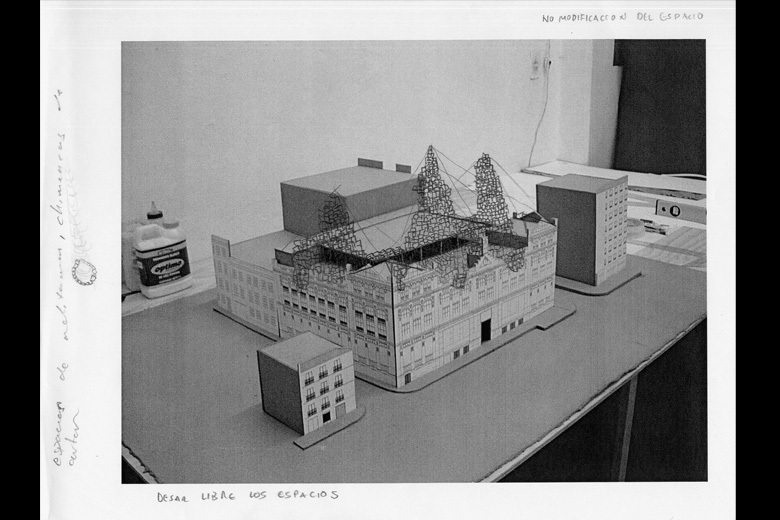 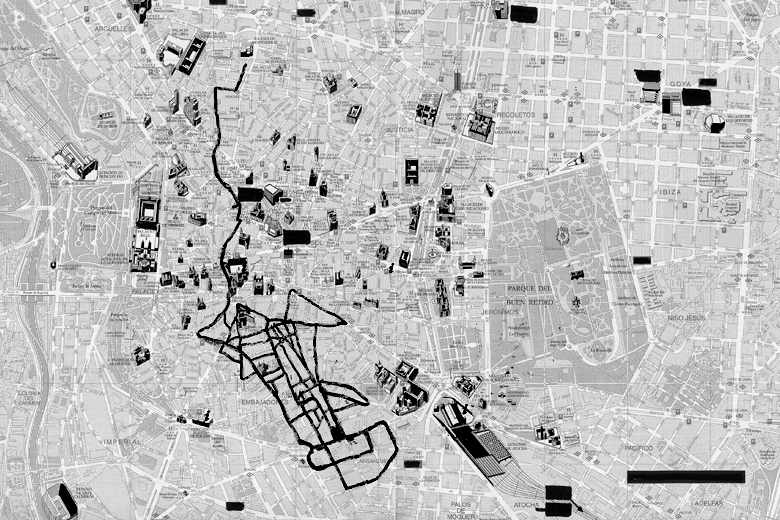 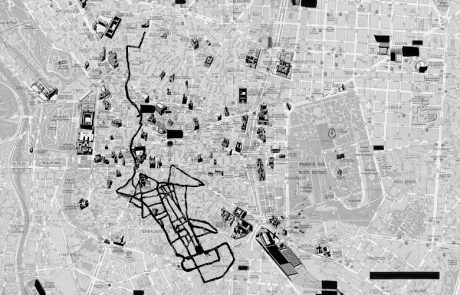 These buildings simulate old human constructions, inciting the memory and the imagination to fill in the spaces and to create a narrative for them. 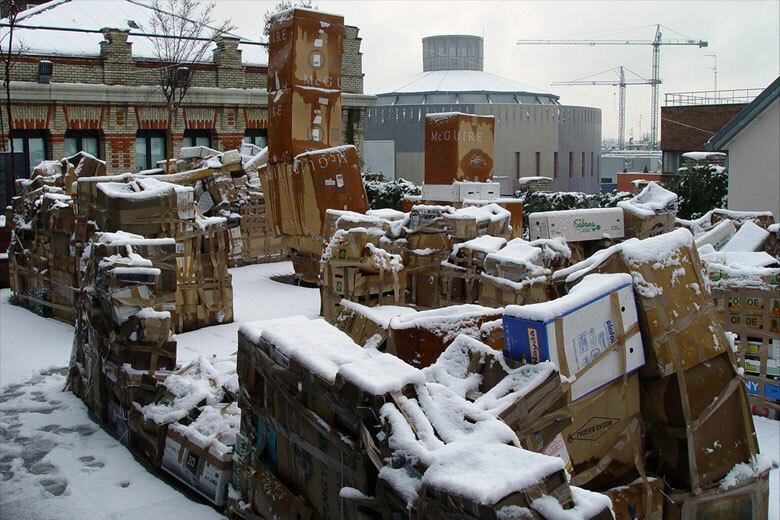 Following the natural behavior of degradation of the material, the piece creates its own time and transforms it-self into ruin.